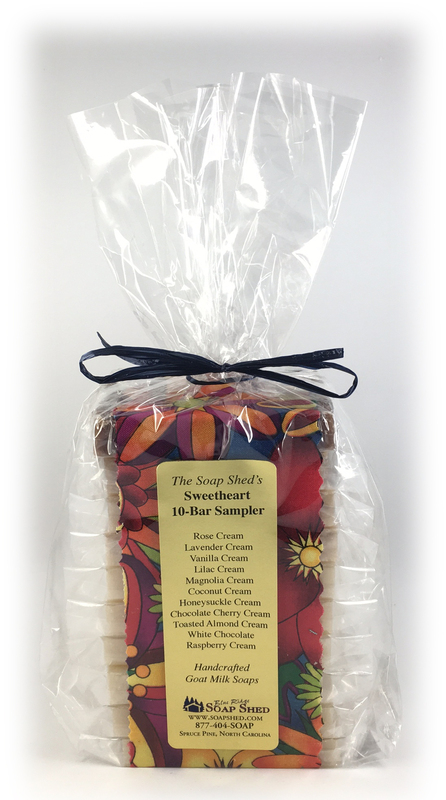 Great handmade gift soaps are available all year round including our beautiful Soap Six Packs (pictured above), our Soap Samplers (small sample slices in a variety of scents), Soap Trios (three full size bars), and Soap Twosomes (two Bars). We wrap our gift soaps with corrugated cardboard and colorful paper cigar bands, stack the soap inside clear cellophane bags, add a gold foil label and wrap everything up with complementary raffia. 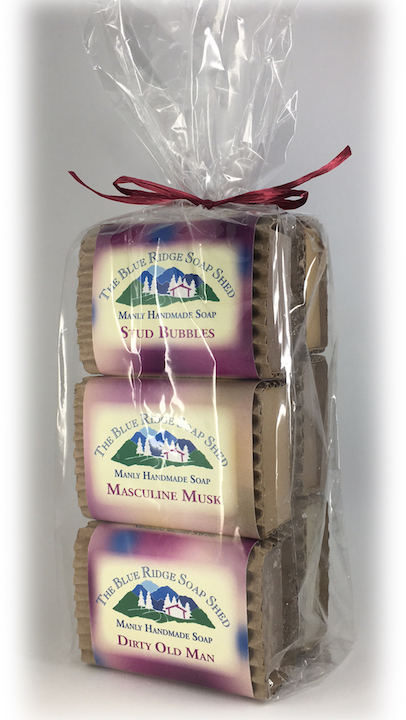 Our Gift Sets are available in a variety of theme combinations, by fragrance, soap recipe or soap use. Whether you're looking for a collection of gift soap for a gardener, quilter, knitter or camper; men or women; or scent groupings of spices, florals, lavender only, or completely unscented - we've got them! 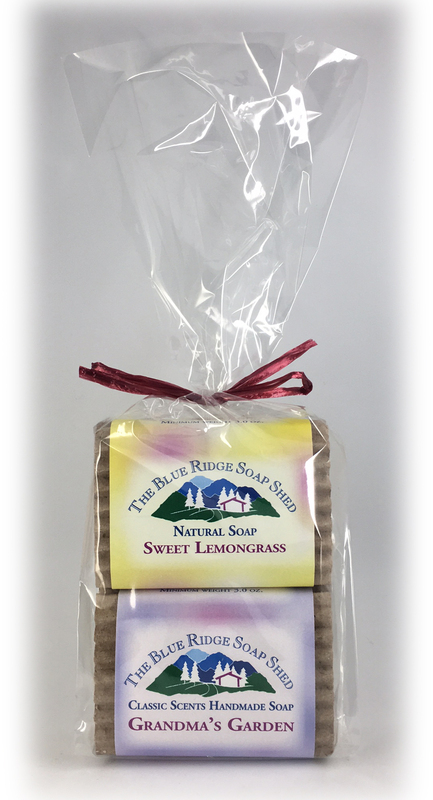 Check out our Gift Boxes and Group Gift Collections, which you can select by your favorite soap scents or recipes. 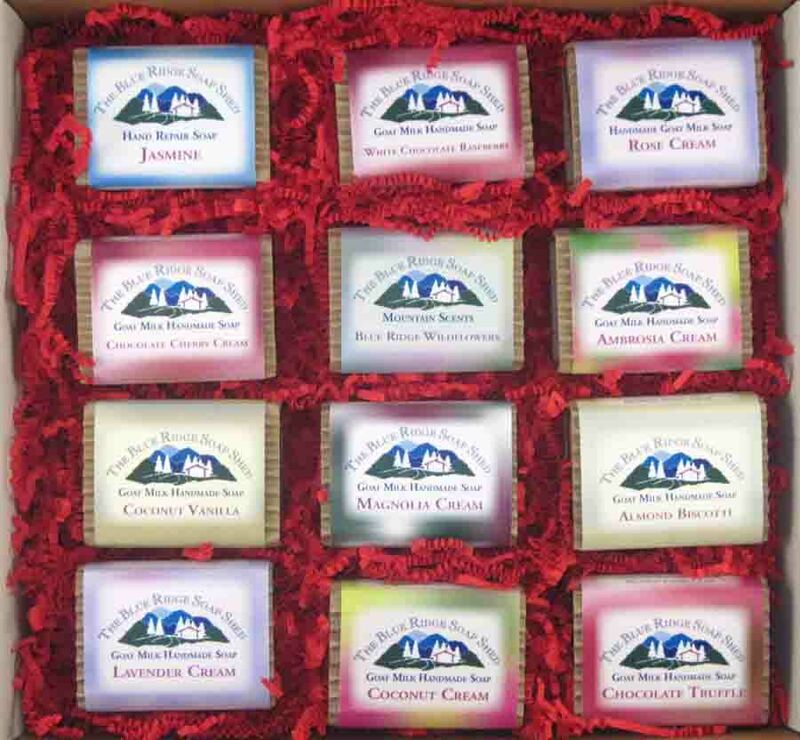 Our Gift Soap Sets make great gifts all year round because we package our gift soap to reflect each season of the year. Better than a box of chocolates - Twelve (12) wrapped bars ready for gift giving! Four wrapped handmade soap bars, shea butter, Dead Sea salts and soap dish ready for gift giving! 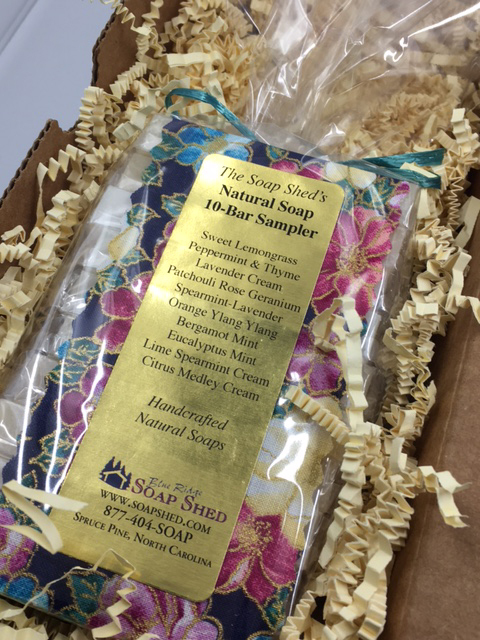 Twelve (12) wrapped bars, plus organic shea butter and Dead Sea salts, ready for gift giving! 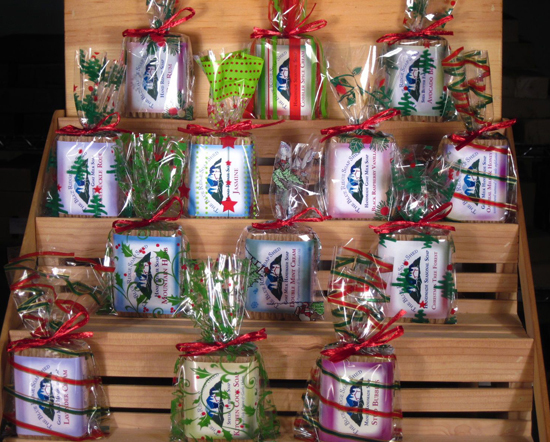 Eight wrapped handmade soap bars, shea butter, Dead Sea salts and soap dish ready for gift giving! Twenty Four (24) wrapped bars, plus lotion, butter, Dead Sea Salts and a hard wood soap dish. Better than a box of chocolates - Twenty four (24) wrapped bars ready for gift giving!